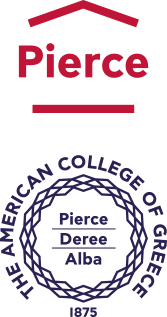 The Counseling Center of The American College of Greece offers a broad range of psychological services available to currently enrolled Deree students. Our services are designed to support, encourage, educate, counsel, and empower students in a college setting as they adjust to the challenges and transitions of university life as well as help faculty and staff function more effectively in their work with students. The services rendered include assessment of various psychological and interpersonal difficulties and interventions in order to help students deal with those difficulties. Services are provided by graduate psychology students in practicum, under the supervision of clinical psychology faculty. Problems typically presented by students include, but are not limited to, the following: emotional problems such as depression, anxiety and intense fears; social problems, such as difficulties with peer interactions, aggression and social withdrawal; problems within the family of students, such as lack of effective communication; psychophysiological problems, such as migraines, headaches or psychosomatic symptoms; educational problems, such as learning difficulties; self-control problems such as eating disorders and smoking. The Counseling Center is located at the ground floor (level 0) of the Communication Building. You can visit us during the operation hours, or call us at 210 600 9800, ext. 1080 and request for an appointment. You can also contact us via e-mail, at [email protected].